"A Child Has Been Placed With Me"
Make a difference for children and families all year round by joining our Family Tree. To help, all you need is a stable home, an open heart, and a willingness to reach out to a child in need. If you are passionate about helping children, you might find your fit on our team. Helping kids in crisis. Building strong families. It is the mission of CEDARS to help children achieve safety, stability, and enduring family relationships. For over 70 years, thousands of vulnerable children and youth have found safe refuge and a new beginning at CEDARS. One of Nebraska’s most trusted child-service organizations, CEDARS makes sure that children feel safe and secure. At the same time, we’re giving parents, foster families, and partnering agencies the support they need to care effectively for children. If you are experiencing an immediate crisis situation, call the National Crisis Hotline at 800-448-3000. Before eleven-year-old Amelia came to CEDARS, she was living in a car with her mom. The car was out of gas and the battery was running low. Despite having gone without bathing for over a week and eating only minimal food for longer, Amelia was willing to give a small smile—whenever she would look up from her dog-eared book. The first evening Amelia came to us, she was already asking when she could go home. You see, even though the conditions of the car were terrible, that was what she’d always known. The truth is, neglect and homelessness are real. And children are living with these realities every day. 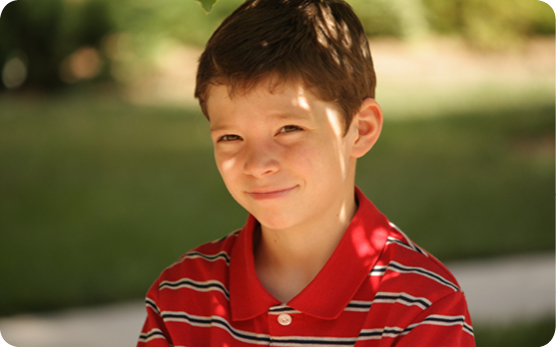 Nine-year-old Tyson came to CEDARS when caring neighbors reported concerns about his home life. We immediately identified a loving foster family for him. Like all children do, Tyson needed to live in a house where he could experience the everyday routines that make a home, as well as build trusted relationships that will give him the foundation for a successful future. Tyson had many big emotions about the changes in his young life. He felt a sense of loss at leaving the only home he had ever known. He felt embarrassed because he was in foster care and struggled to relate to his friends. He also felt guilt for liking his new foster family. These emotions, plus many others are common for a child in Tyson’s situation. But his foster parents persistently and gently demonstrated love, understanding and support. After just a few months, Tyson became comfortable enough to talk to his foster parents and our staff about his feelings. He was able to express himself and we listened. It was this acknowledgment of his feelings that gave Tyson confidence to open up and share more and also to feel comfortable in his new home. Since then, Tyson has started to think of himself as a leader among his friends and asks how he can help both with his friends and at home. As always, we feel incredibly grateful for your confidence in our work and commitment to the children in our care. It is thanks to your support that children like the Tyson have safe, loving homes and bright futures. Thank you. Information We Collect? When you visit our website you may provide us with two types of information: personal information you knowingly choose to disclose that is collected on an individual basis and website use information collected on an aggregate basis as you and others browse our website. Personal Information You Choose to Provide We may request that you voluntarily supply us with personal information, including your e-mail address, postal address, home or work telephone number and other personal information for such purposes as correspondence, employment application, or a tax-deductible transaction. If you choose to correspond with us through e-mail, we may retain the content of your e-mail messages together with your e-mail address and our responses. We provide the same protections for these electronic communications that we employ in the maintenance of information received by mail and telephone. The names of donors are kept in strictest confidence. Whether the information has been provided online or offline, your information will never be sold, rented or exchanged with other organizations. CEDARS never gives away nor sells information about our donors. If you choose to email us and provide personally identifiable information about yourself, CEDARS will use this information only to respond to your inquiry. CEDARS will not sell, rent or otherwise disclose that information to third parties unless such a disclosure is necessary for the purposes set forth in this Policy, by law or a policy or notice contained or associated with a specific CEDARS product or service. Website Use Information When you visit our site, our Web server automatically recognizes the domain name of your computer or Web-enabled device. This website compiles conventional log files to monitor and assess activity including traffic and visits on, and related to, the site. This activity does not specifically identify any individual user without prior notice to the user through use of the site. We do not use or disclose information about your individual visits to this site. The information collected is used to improve and enhance the content and services of this site. Security We use industry-standard encryption technology, including SSL encryption, when transferring and receiving payments and other sensitive data. We have security measures in place in our physical facilities to protect against the loss, misuse or alteration of information that we have collected from you. Periodically, our operations and business practices are reviewed for compliance with organization policies and procedures governing the security, confidentiality and quality of our information. Our organization’s values, ethical standards, policies and practices are committed to the protection of user information. In general, our business practices limit employee access to confidential information, and limit the use and disclosure of such information to authorized persons, processes and transactions. Access And Correction You may request access to all your personally identifiable information that we collect and maintain in our database by e-mailing us using the contact form provided to you within the site structure of our website. Permission for Use Of Materials The right to download and store or output the materials in our website is granted for the user's personal use only, and materials may not be reproduced in any edited form. Any other reproduction, transmission, performance, display or editing of these materials by any means - mechanical or electronic - without our express written permission is strictly prohibited. Users wishing to obtain permission to reprint or reproduce any materials appearing on this site may contact us directly.